NARIT is holding their IAU regional meetings at the Empress Hotel until the 29th. Members of the public are welcome to attend 3 talks one today, and two tomorrow. The XIth Asian-Pacific Regional IAU Meetings made its debut in Chiang Mai. At the opening ceremony, the Minister of Science and Technology, Dr.Virachai Virameteekul, presented his special key note on Thailand’s master plan of astronomy development in order to become ASEAN’s leader in this field. The plan consists the National Observatory and its network, Human resource development and astronomy education promotion. The minister expressed his appreciation to all IAU members for the community’s support to Thailand. 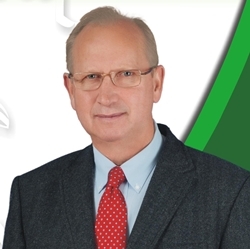 Director of NARIT, Assoc. 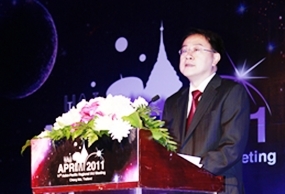 Prof.Boonrucksar Soonthornthum said NARIT is proud to be chosen by International Astronomy Union (IAU) to be the host of APRIM2011 which is one of the three biggest events of world’s astronomy community. This reflects how the world pays more and more attention on Thailand’s progressive growth of astronomy. Academic networks both on government and institute levels have been activated. APRIM 2011 is truly Thailand’s official debut to international astronomy union. We are developing our fundamental infrastructures. By the end of this year, we will celebrate the launch of Thailand National Observatory on Inthanon National Park where the biggest telescope of ASEAN is installed, leading the way for 5 more Regional Observatories for the Public at Chachengsao, Songkhla, Khon Kaen, Phitsanulok and Nakhon Ratchasima. “This will entitle our country as a centre of astronomy of the region” the director said. Minister of Science and Technology, Dr.Virachai Virameteekul presented Thailand’s master plan on Astronomy. APRIM2011 hosts over than 500 delegates from every continent including world-renowned astrophysicists as Professor Dr.Norio Kaifu - the president elect of IAU, Professor Dame Jocelyn Bell Burnel who introduced ‘pulsar’ to astronomy, Professor George Miley - Vice president of IAU who has been conducting numerous international astronomical projects. An amateur yet outstandingly famous astronomer from Philippines, Mr.Christopher Go, the first man to discover the red spot junior on Jupiter is invited as well. The meetings will be held from July 26th to 29th. The first 3 days are for academic sessions at Empress convention center and the last day for an excursion to the construction site of Thailand’s National Observatory and Princess Sirindhorn Neutron Monitor at Inthanon national park. “The latest updates from astronomy researchers have been always the main focus of the event. However this year we also take a further step on creating international collaborations among astronomy community members” Dr.Saran added. “3 luncheon sessions has been set up for 3 particular groups which, we believe, will generate more and more advantages to the community. The groups are ‘Young Astronomers’, ‘Women in Astronomy’ and ‘SEAAN-South East Asia Astronomy Network.’ These sessions will be held at 12.30-14.00 hrs. on July 26th, 27th and 28th respectively. For the public, you are invited to AstroExpo2011 and APRIM2011’s public talks. 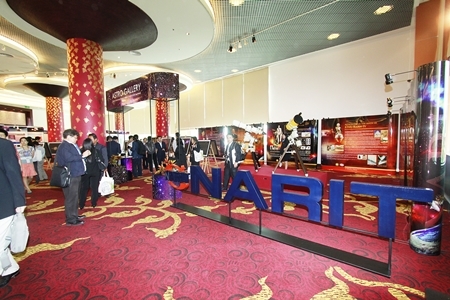 AstroExpo 2011 is the highlight of APRIM2011 for visitors. Astronomical projects around the globe, the total budget over 3 billions USD, will be displayed here along with some most up-to-date innovations such as a giant 8-metre portable planetarium dome surrounded with HD star projectors from Russia with educational film in full-dome spectacle view, Solar wind and its electron in the earth’s magnetic field recorded in HD from Hinode’s solar spectacle telescope from Japan, Project presentation of Giant Macgellan Telescope-GMT with diameter of 25 metres from South Korea. Thailand’s pavilion will be presenting a exhibition ‘The King of Thailand and Astronomy’ and astronomical instruments demonstration for public. There are 3 topics for APRIM2011 public talks; ‘Will the world end in 2012? The Astronomy Evidence’ by Prof. Dame Jocelyn Bell Burnel, the greatest contemporary astronomer who introduce ‘Pulsar’ to the world, July 26th at 6 pm. ‘From Webcam to the Hubble’ by Christopher Go, who discovered a red spot junior on Jupiter with his amateur telescope then broadcasted it online until he was invited by NASA to join planet observatory via Hubble space telescope. And ‘Grote Reber-The First Radio Astronomer’ celebrate 100 years of Radio Astronomy with Martin George, a famous Australian astronomer. The two sessions take place on July 27th at 4pm and 6pm respectively. Sent in by regular Ron, it makes one wonder what is on offer here! 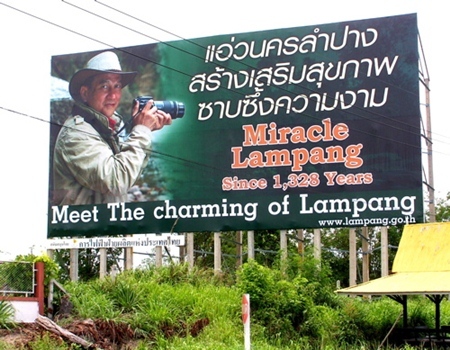 Thailand and Chiang Mai abound with funny photos, engrish and more. 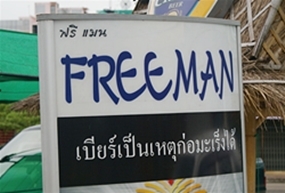 The Chiang Mai Mail invites our readers to send in their favorite quirky “engrish” photos for the paper. Please send all submissions to [email protected] We welcome your submissions and hope this encourages you to start snapping, even if with just a camera phone! At about 1:00 am on July 20 a car was found upside down in the moat. The driver had swerved to avoid another car while travelling at a fairly high speed, lost control and hit a tree. He was ejected from the car which rolled into the moat. The water in the moat at that location was low at the time. The driver was injured in the accident and taken to the hospital. Two Mae Jo University students were involved in a motorcycle accident at 3 a.m. on July 20, 2011, both were taken to the hospital with injuries and one died at the hospital. Details of the accident are unclear since there are no witnesses but the motorcycle was found crashed into a power pole with both students suffering severe injuries. Chiang Mai police have arrested a security guard who was caught by CCTV breaking into parked cars at the Central Airport Plaza parking lot. He was arrested with several Ipods, video games and phones in his possession. He was a long distance bus driver but had fallen into money difficulties so started breaking into cars to steal the goods inside. Monday, July 18 saw Chiang’ Rai Provincial Police seize more than one million Yabaa pills and 73 kg of Ya Ice. The police valued the seized drugs at about 500 million Baht. Acting on a tip off, police set up a road block on Pahon Yothin Road, when a truck ran through the road blocks police gave chase and the driver crashed the vehicle after losing control. One of two men in the truck opened fire on police as they tried to escape the vehicle. Police returned fire killing one suspect while the other managed to escape. An AK rifle was found near the body of the suspect. Police discovered 1,078,000 methamphetamine or Yabaa pills and 73kg of crystal methamphetamine or Ya Ice in the pick-up truck. The Shan village of Ban Nong Pheung in Mae Taeng is being dismantled by soldiers, local administrators and volunteers after it was determined that 70 rai of forest land had been sold illegally to the Shan people who had built the community there in 2004. More than 1,000 people live in the village now and authorities will cut off water and electricity in an attempt to force them to leave. Col Akarawat Wuthidetpokin, an intelligence chief of the Internal Security Operations Command who is leading the operation said that the illegal settlement, which is on land belonging to the Land Reform Office, could worsen the problems of illegal immigration and narcotics and thus posed a threat to national security. The reclaimed land will be rehabilitated and returned to the Land Reform Office. Legally registered migrants will need to find housing elsewhere while illegal immigrants will be repatriated. I guess I can see the owner’s point here! Unless, of course, the person after you wants it! One of the first children to receive an ID card at the Chiang Mai Municipal building. 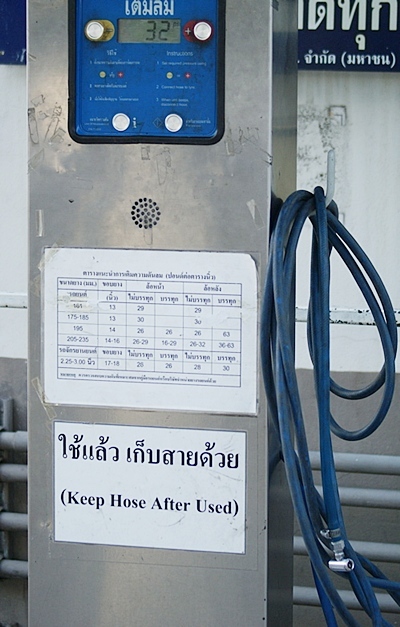 (Photo courtesy of the Chiang Mai Municipality). As part of the campaign to sign up children from the ages of 7-14 for ID cards, Chiang Mai students lines up at the Municipal Hall to obtain their first ID cards on July 11, 2011. Office hours are 8:30-4:30 p.m.
Children will need copies of their parents' identification cards, household registration and birth certificates. Only about 10 children showed up at the Municipal offices on the first morning and the process took a bit longer as some children smiled broadly for the cameras. ID cards do not allow smiling or other facial expressions. Authorities believe this will help disabled children register for government services and make it easier to find lost children. There are about 8 million children between the ages of 7 and 14 in Thailand. The Polish Embassy has sent out an appeal for information on missing Polish national Andrzej Kiezik, Polish citizen, last seen at Suvarnabhumi Airport on July 6 as he arrived from Phuket aboard Bangkok Airways flight PG 272 at 11:45 a.m. Previously, he stayed at the Serenity Resort & Residences on Phuket. Please contact the Embassy of Poland in Bangkok, either by telephone: 0819364618 or email: [email protected] if you have any information. 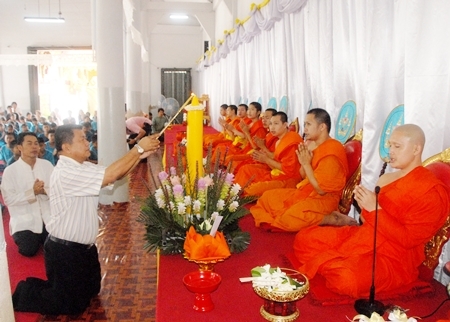 Thai Buddhist faithful gathered in temples around the city for Asarnha Bucha Day on Friday, July 15, 2011. More than 3,000 people made the trek to the temple on Doi Inthanon to make merit and offer prayers on one of the most important days in the Buddhist calendar. July 16 is Khao Phansa, or the beginning of Buddhist Lent, which marks the 3 month period that monks enter the temples for the rainy season. Any man who ordains as a monk at this time must remain a monk for the 3 month period. Asarnha Bucha Day marks the Buddha’s first sermon and the establishment of the Sangha. 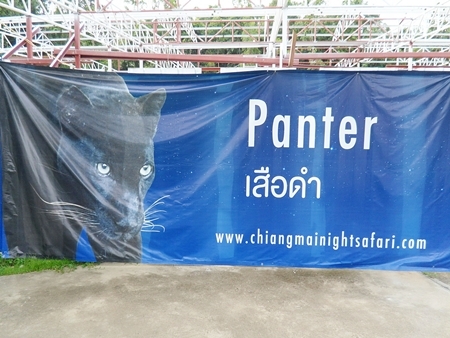 (Photo courtesy of the Chiang Mai Municipality). The Chiang Mai Mail would like to join the Thai nation in wishing HRH Princess Soamsawali a very happy 54th birthday today, Wednesday July 13. The Princess is very active in many Red Cross programs for children who have been affected by HIV/AIDS. In February of this year she was commended by the UNAIDS Executive Director Michel Sidibé for her “tireless dedication, commitment and leadership” in the country’s HIV response and presented HRH with a plaque for her ongoing efforts to prevent mother-to-child transmission of HIV. Her tireless dedication to this cause for the past 25 years has ensured that many children have received the help and medication they needed. The Chiang Mai Mail would like to offer you our wishes for a very happy birthday. 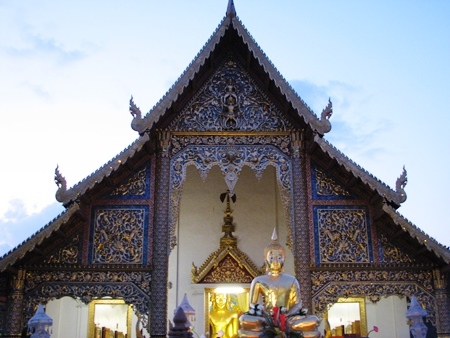 Wat Phra Singh is one of the most popular temples in Chiang Mai where the Buddhist faithful gather on Asarnha Bucha Day. Asarnha Bucha Day recognized as the day that the Buddha gave his first sermon and his birth, falls on July 15 this year. Both July 15 and July 16, the start of Buddhist Lent, are considered two of the most holy days in the Buddhist calendar and are public government holidays. Asarnha Bucha Day on July 15 is worshipped because of three important events occurring on the day; called the “Triple Gem” the Buddha, Dharma and Sangha. Khao Pansa falls on the first full moon (1 kham) of the Buddhist Lunar calendar during the eighth month of every year, which this year equates to July 16, and ends on the 15th full moon (15 kham) of the 11th month of the Buddhist calendar, usually in October. During a leap year it is identified during the second eighth month. These two holy days are no alcohol days and bars, restaurants and stores will refrain from selling alcohol on the 15th and 16th. 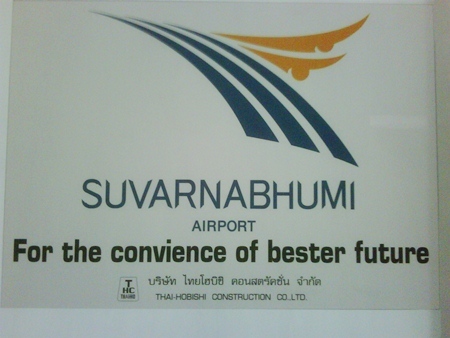 the airport would at least use a spell checker. 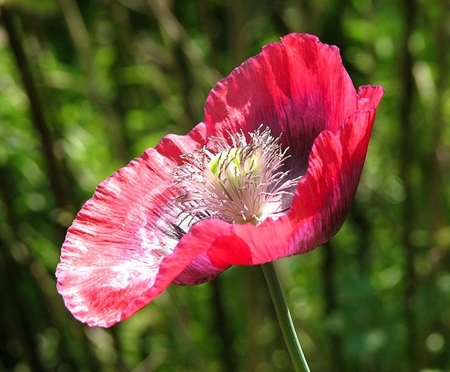 Poppy production in Myanmar continues to grow as the world price of heroin rises due to plant blight in Afghanistan. 43kg of heroin worth 700 million baht was seized in Lamphun on Friday, July 8, 2011. Region 5 police reported the arrest of two men and the seizure of 43 kilos of heroin worth 700 million baht in Lamphun on Friday, July 8, 2011. Also in Lamphun, police arrested Surapong Jampatee at the Lamphun Provincial bus station and found an M16 rifle, ammunition, two barrel extensions, and a silencer. Surapong was arrested for the murder of Police Sergeant Pat Thansom, a chief investigator at the Lamphun Police in 2006. Chiang Rai saw the arrest of a man and the seizure of 300,000 yaba pills hidden in the bed of his pickup truck after the man ran a police checkpoint at Baan Hua Tung – Baan Pha Bong Road in Chiang Rai’s Dongmada subdistrict. Heroin seizures have been on the increase as the United Nations reports a plant blight has decreased production in Afghanistan and seen the tripling of prices of heroin. Myanmar has re-emerged as a major heroin producer in the past few years. Cultivation of the opium poppy in Myanmar rose by 20 percent in 2010 and its share of global opium production rose from five percent in 2007 to 12 percent last year, according to the UN Office on Drugs and Crime (UNODC). However, Yabaa production of Myanmar continues to climb the UNODC reports, stating that Myanmar was a prime source of amphetamine pills seizures in Southeast Asia. Seized amounts rose by a third in 2009 alone, and those figures continue to climb, according to the UNODC. A red songthaew carrying 25 mostly primary and kindergarten students crashed into an electric pole on the morning of Thursday, July 7, 2011. The 59 year old driver said a motorcycle had pulled out of a side soi, cutting him off, he swerved to avoid hitting the motorcycle and slammed into the electric pole. Around 10 children were taken to the hospital for minor injuries while 3 children suffered broken bones. Police were going to test the blood alcohol content of the driver to make certain he wasn’t driving under the influence. Pheu Thai swept Chiang Mai province, taking seats in a all ten districts. District 1 saw Tassanee Buranupakorn take the seat with a convincing win of 48,325 to 24,719 by the runner up. Winners by district: District 2: Kritsadakorn Siempakdi, District 3: Shineecha Wongsawat, District 4: Wittha[ya Songkham, District 5: Prasit Wuttinunchai, District 6: Julapun Amornwiwat, District 7: Boonsong Taeliayaphitlon, District 8: Noppakun Latpathai, District 9: Surapon Kietchaiyakom and District 10: Silet Kotkumleur. Nationwide the Pheu Thai Party won 265 MP seats, with 204 constituency MPs and 61 from the party-list while the Democrat Party came second with 159 seats; 115 constituency MPs and 44 from the party-list. The Bhum Jai Thai Party came third with 34 seats; 29 constituency MPs and 5 from the party-list. The Chart Pattana Puea Pandin Party won 5 constituency seats and 2 party list, while the Rak Thailand won 4 party list seats. The Matubhum Party won 2 seats; 1 constituency and 1 party-list while the Rak Santi Party took one constituency seat and the Mahachon and New Democratic Parties took one party-list seat each. Yingluck Shinawatra is set to take the seat of Prime Minister once the caretaker prime minister submits the Royal Decree for the opening of the House session to His Majesty the King and it is approved. The Election Commission will begin endorsing candidates after investigations of allegations campaign fraud and balloting issues. EC member Prapun Naigowit said he expected investigations into about 195 campaign-related complaints would be completed within the 30-day deadline. The first House session should take place within the required 30 days and see most Members of Parliament seated by August 3. Members-Elect under investigation may still take their seats until the results of the investigation are issued by the Election Commission. Perhaps this trekking trip is more salubrious than most? 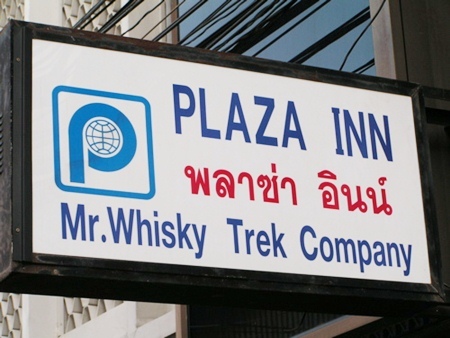 Thailand and Chiang Mai abound with funny photos, engrish and more. 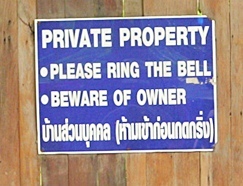 The Chiang Mai Mail invites our readers to send in their favorite quirky “engrish” photos for the paper. Please send all submissions to [email protected]. And continuing in the alcohol theme, a bit reminiscent of the old tobacco ads promoting smoking as good for asthma? Thanks to reader Ron Lister for these pics! Born on July 4, 1957, Her Royal Highness Princess Chulabhorn is the youngest daughter of Their Majesties King Bhumibol Adulyadej and Queen Sirikit of Thailand and herself has two daughters, the princesses Siribhachudhabhorn and Adityadhornkitikhun. The Chiang Mai Mail joins the Kingdom in humbly wishing a Happy Birthday to a most remarkable person, Her Royal Highness Princess Chulabhorn on her birthday. Princess Chulabhorn graduated from the Faculty of Science and Arts at Kasetsart University with a Bachelor of Science Degree in Organic Chemistry, First Class Honours, in 1979, following with a doctorate in 1985, being awarded a Doctor of Philosophy Degree in Organic Chemistry from Mahidol University in July of that year, capping off a record of excellent academic achievement. The following year, she undertook post-doctoral studies in Germany, and has since been a visiting professor at universities in Japan, Germany, and the United States, as well as holding Honorary Doctorates from nine universities around the world. Her Royal Highness is chairperson of the Working Group on the Chemistry of Natural Products collaborative program between the Japanese Society for the Promotion of Science and the National Research Council of Thailand. As president of the Chulabhorn Research Institute, HRH the Princess currently directs five special research projects; the AIDS program, a programme on restoration and integrated development of the flood-affected areas in Southern Thailand, seawater irrigation for cultivation of economic marine species and preservation of the mangrove forests, a rabies eradication programme, with a special project for accelerated immunization in five southern provinces in Thailand. One of the vitally-important duties HRH the Princess has undertaken in the immediate past has been the establishment of the Ban Namsai Community Project, to assist the victims of the 2004 tsunami, by applying the expertise of the biotechnology and sea life experience of the Department of Sea and Coastal Resources of the Chulabhorn Research Institute to alleviate the suffering of the people affected by this freak of nature. On the occasion of HM the Queen’s sixth cycle, seventy-second birthday on 12 August 2004, and the 30th anniversary of the founding of diplomatic relations between China and Thailand, HRH the Princess presided over and presented the Third Thai-China Relationship Concerts in October 2005 at different locations in the Kingdom. Five years ago, on her fourth cycle, forty-eighth birthday, the Princess delivered the address, Innovative Scientific Paradigms in Cancer Chemotherapy, aimed at supporting researchers and scientists at the highest levels of Biomedical and Life Sciences in Thailand. The honoured Innovative Scientific Paradigms in Cancer Chemotherapy speech for HRH Princess Chulabhorn was held for the third time. The Chulabhorn Research Institute, in collaboration with the Royal Thai Ministries of Health and the Environment, held a broad-ranging Technical Subjects Meeting on the Environment of Asia and the Pacific, held in Manila, December 2005. Representatives of many Asia-Pacific countries, vitally interested in the affects of waste, pollution and other toxic substances on the environment and health, contribute to this important area of human development. HRH the Princess delivered the keynote address to participants at the Fifth International Symposium on Chromatography of Natural Products, at the Polish Academy of Science and the Phytochemical Society of Europe, held at the Medical University of Lublin, Poland. She was awarded the Nagoya Medal Special Award by the Nagoya Medal Organizing Committee in 2006 and the Adolf Windaus Medal from the University of Göttingen, Germany in 2009. She continues her work tirelessly promoting scientific and medical research in Thailand. Thank you HRH Princess Chulabhorn for your own lifetime of dedication. All of us at the Chiang Mai Mail join the entire Kingdom in wishing Her Royal Highness Princess Chulabhorn a Most Happy 54th Birthday on the fourth of July 2011. 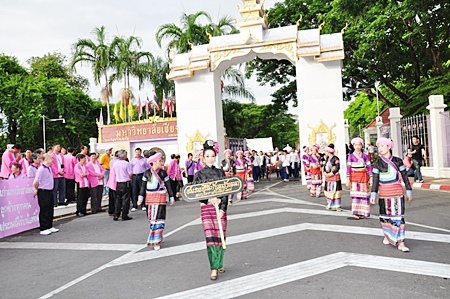 Over 17,000 CMU students will take part in the annual walk up Doi Suthep to make merit at the start of the new school year on Saturday, July 9 with the official procession beginning at 7:30 a.m. Chiang Mai Governor Panadda Diskul will give the opening remarks before the crowd sets off to Huay Kaew Road and up to Doi Suthep. The U.K. media has reported that three students from the U.K., a Korean passenger and the bus driver were killed when their Chiang Mai bound bus was struck from behind by a bus carrying mainly Thai passengers in Kamphaeng Phet. 40 people were injured in the accident that occurred on the overnight bus from Bangkok. The bus was filled with mainly foreign tourists from all over the world including Belgium, Japan, and Germany as well as two other passengers from the U.K. The three young men, aged 19, were school friends on the first leg of a 9 week trip around South East Asia. Many young British students traditionally take time off, or gap year, to travel or volunteer before returning to enter university. Thailand goes to the polls tomorrow so alcohol sales will stop at 6 p.m. tonight and resume Sunday July 3 at midnight. Bar owners face serious fines for selling alcohol, the penalty for anyone found selling alcohol during the voting periods is a maximum of six months in prison or a fine of up to B10,000, or both. 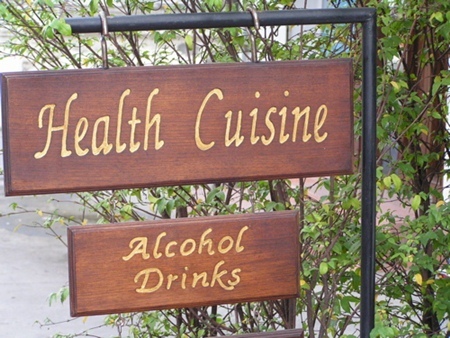 Thailand’s Election Act bans the sale and distribution of alcohol from the evening before and throughout the day of any parliamentary or senatorial election. A total of 30 hours. Campaigning and electioneering during this time is also banned as well. 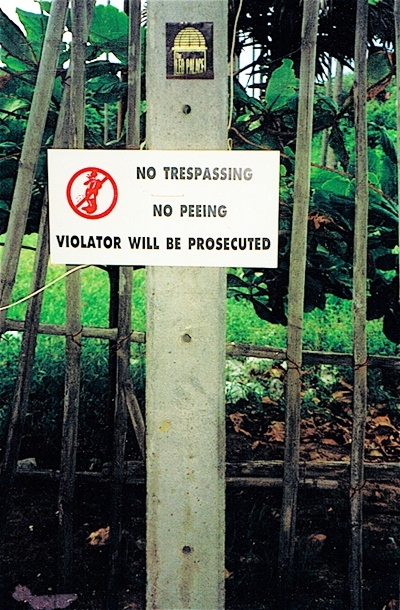 Ron from Chiang Mai contributed this sign, which may or may not be a poor translation!